What would a binary black hole merger look like? 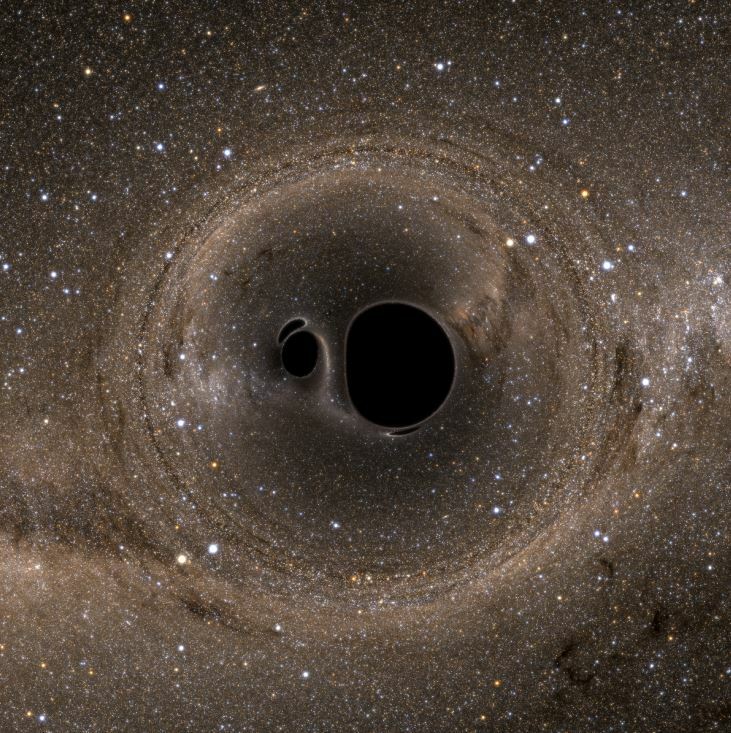 A pair of black holes that are about to merge, with the Milky Way visible in the background. We present a method of calculating the strong-field gravitational lensing caused by many analytic and numerical spacetimes. We use this procedure to calculate the distortion caused by isolated black holes and by numerically evolved black hole binaries. We produce both demonstrative images illustrating details of the spatial distortion and realistic images of collections of stars taking both lensing amplification and redshift into account. On large scales the lensing from inspiraling binaries resembles that of single black holes, but on small scales the resulting images show complex and in some cases self-similar structure across different angular scales…. This entry was posted in ASTROPHYSICS, COSMOLOGY, RELATIVITY and tagged BLACK HOLES. Bookmark the permalink.